If you think the TITAN supercomputer at Oak Ridge National Laboratory (ORNL) is fast, wait until you see their latest high-speed project. 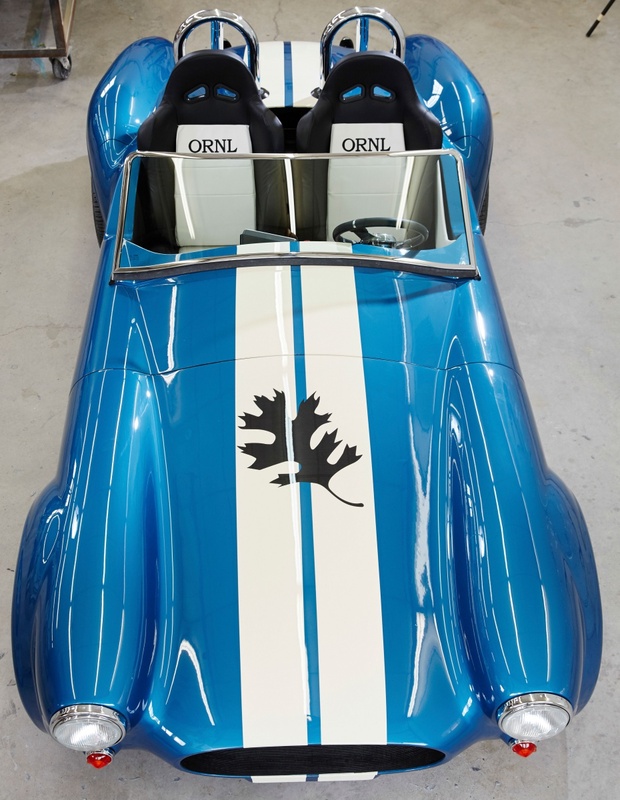 To mark the classic car's 50th anniversary, ORNL unveiled their homage to the Shelby Cobra at the 2015 North American International Auto Show in Detroit, US. While easy on the eyes, this sports car's construction method is what makes it unique. Designed in six weeks, the bulk of the car was 3D-printed in 24 hours at the US Department of Energy's Manufacturing Demonstration Facility using the Big Area Additive Manufacturing (BAAM) machine. That's about 1,000 times faster than other additive manufacturers. ORNL intends to showcase the blue beauty as a sort of lab on (hot) wheels, so researchers can plug in the latest hi-tech components. View more pictures and the stages of construction at the ORNL Flickr page.